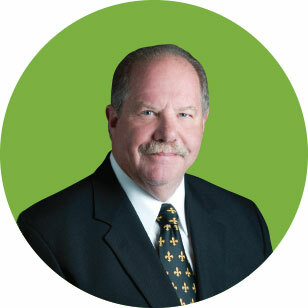 Randy Lorio was appointed to the DEMCO Board of Directors in 1994. He currently serves as Chairperson of the Purchasing Committee and the Strategic Planning Committee. He is also a member of the Policy Committee. District 3 is located south of East Feliciana Parish, east of Plank Road, Blackwater Road and Rheames Road, west of Livingston and St. Helena Parishes, and north of Greenwell Springs Road.